Actor/singer Rain (real name Chung Ji-hoon, 27) has added Hong Kong to his Asia tour entitled “2009 Legend of Rainism.” The tour will begin on August 29-30 in Saitama, Japan. Rain will perform in Hong Kong on December 12-13, according to his agency, JTune Entertainment. Rain will visit Hong Kong for the first time in six months since his last visit in June for the “Six To Five” fashion show. A person from JTune Entertainment said the singer’s tour schedule will be matched with the promotion of his Hollywood debut movie “Ninja Assassin,” which will open worldwide on November 25. Rain is discussing plans to hold concerts in Seoul in October. Singer and actor Rain will take part in a charity concert organized by Hong Kong star Jackie Chan. J.Tune Entertainment, Rain’s agency, said last Friday that the Korean star is invited to the Good Friend Concert to be held at the Beijing National Stadium in China on May 1. All proceeds from the concert will be donated to charities. Rain met Chan when both of them attended the closing ceremony of the 2008 Beijing Olympics. Meanwhile, the singer performed at the Lotte Family Concert at the Olympic Park in Seoul. He is currently the face of Lotte Duty Free Shop. Singer and actor Rain will hold a fashion show for his fashion brand “Six to Five” in Hong Kong in June, according to J.Tune Creative on April 10. Working as a designer and model for the brand, Rain will also give a performance himself at the F/W show, which he wants to use as an opportunity to promote the brand, as many Chinese fashion people are expected to attend. In another effort to promote the brand, J.Tune Creative opened a Six to Five teddy bear museum in Jeju Island on April 3 in cooperation with the Korea Teddy Bear Association. It is set to build a similar museum in the Indonesian resort island of Bali after finalizing a contract, and is working to sign a deal to open another museum in Phuket. Meanwhile, Rain held an autograph session at the Nowon branch of Lotte Department Store on April 5, and plans to hold the event at other local branches. In a Wednesday trial at a Hawaii court, President Lee Seung-su of Click Entertainment, who is battling in court with the singer, said a Rain concert that was canceled cost his company $1.5 million. He cited damage both financially and in regards to reputation, but that Rain and his aides did not apologize even once, calling such an attitude embarrassing and dishonest. Click purchased the copyright to the concert slated for June 2007 and argues that Rain and his former agency JYP canceled the show just one month before the concert date, taking $500,000 in copyright fees. Click filed a suit in Hawaii requesting $40 million in compensation. Lawyers for Rain and JYP said, “Click signed a deal not with us but with Revolution Entertainment, which owned the copyright to the concert. The suit should not target us.” During Rain’s world tour, JYP sold the right to Rain’s North America concerts to Revolution. The Hawaii concert to be held at Aloha Stadium was planned as the first leg of the “Rain’s Coming” North America tour. It was canceled abruptly just days before the even, to the disappointment of Rain’s Hawaiian fans. Many stars come and go. One day they are in, but the next, they are forgotten. But there seems to be a Korean star who looks like he will stay with us for a very long time, if not forever. It is Korea’s hot singer and actor Rain. Many Korean stars who rode on the wave of Hallyu seem to have stopped right there, thinking that the fame and glamour would live on forever. But Rain chose not to rest on his laurels. Even amid his hectic schedule that involves promoting his new album, filming for his recently finished Hollywood film “Ninja Assassin” and even launching his own clothing line Six to Five, he has never skipped his workout routine or dance practice. Before rising to stardom in Korea, he had to undergo three years of arduous training and rehearsals. He always strives for everything, never taking anything for granted. And this passion and diligence have helped him rise above being merely a “Hallyu” or Korean wave star to an up-and-coming actor in Hollywood and more. 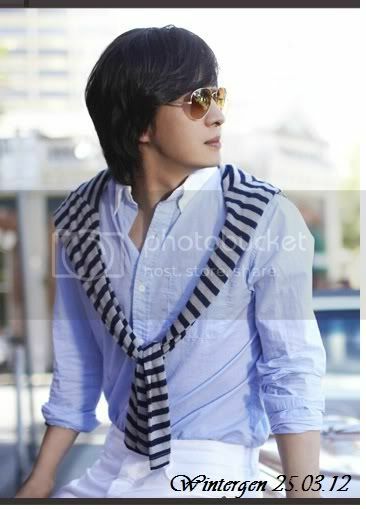 Rain starred in the Hollywood movie “Speed Racer” and his upcoming movie “Ninja Assassin” will be released soon. He also made headlines by singing at the closing ceremony of the 2008 Beijing Olympics. And this time, he has finally been discovered by the world-renowned cable TV Discovery Channel, which specializes in documentaries. Rain is being featured in a documentary entitled “Hip Korea,” produced by the Discovery Channel, which airs in 170 countries around the world. The documentary is about the rising status of Korean pop culture on the international scene and it portrays Rain as a frontrunner of Korean pop culture, someone who can represent the nation’s growth as a pop cultural hub in the Asian region. The 45-minute documentary has already been on TV screens from Jan 31, starting in Australia and New Zealand. It will start broadcasting in Asian countries including Korea from Feb 23. It will also air in Europe starting in May. The documentary focuses on Rain’s endless efforts which have made him from a normal guy struggling with poverty and the pain of losing his mother, to a world star. According to J. Tune, Rain’s agency, Rain hopes that viewers will get the message from the documentary that anything is possible if you try hard. With Rain’s consent, the Discovery Channel’s production crew followed the singer and actor everywhere for six months to capture his every move. Candid and personal moments were captured, including him commiserating with his close friend comedian Kim Jae-dong and an emotional visit to the charnel house housing his mother’s remains. Filming Rain in Seoul took place mainly in the Hongdae area in northern Seoul and Cheongdam-dong in southern Seoul, two areas frequented by hip young people, to convey the image of him as a dynamic and youthful person. No surprises, but Rain’s busy schedule continues this year as well. He had a fan meeting in Japan in early January, to promote his fifth studio album “Rainism,” which was first released last year in Korea. The singer plans to work on a new album set to be released in the United States. “Ninja Assassin,” a film which was developed specifically for him by the Wachowski Brothers, is due for release this year. He will join the cast of the Hollywood movie for a promotional tour round the United States in March. Amid his hectic schedule, he will continue to expand his clothing line Six to Five with a plan to expand it across Asia and then Europe and the United States. Singer Rain (Jeong Ji-hun, 27) flew to Japan Sunday for his first official schedule of the year. He was welcomed by 1,000 Japanese fans at the airport. He released the Asia edition of his 5th regular album “Rainism” (released in Korea in Oct.) in Japan last Wednesday. He will hold a concert/fan meeting four times during his stay, twice Monday in Tokyo and twice Wednesday in Osaka. He arrived late Sunday night at Narita International Airport to be greeted by 1,200 fans. He will hold a press conference Monday morning at Hotel Okura Tokyo before the local media. His management agency J.Tune Entertainment says 200 Japanese reporters will attend the conference. Upon its release last Wednesday, Rainism placed fifth on the Oricon charts. He will debut his new songs in the Japanese version during his 90 minute long concerts. Singer Rain (real name Chung Ji-hoon) has released his fifth album entitled “Rainism” in the entire Asian region. Rain’s agency, J Tune Entertainment, said it will first release the Asian edition of the album in Taiwan, Hong Kong, Singapore, Malaysia, Indonesia and the Philippines, and later will expand the sales to Thailand, Japan and China as well. The company has also signed license deals with GMM Grammy for the album’s distributiion in English-speaking countries, with Warner Music for its distribution in Chinese-speaking countries, and with Pony Canyon for its distribution in Japan. The Asian edition of Rain’s album contains the English versions of the songs “Rainism” and “Love Story,” which were originally released in Korean. The Chinese and Japanese editions also contain the same songs recorded in Chinese and Japanese, respectively. Rain will hold a concert in Shanghai, China in January next year.